The Melbourne Metro project will deliver five new underground stations. 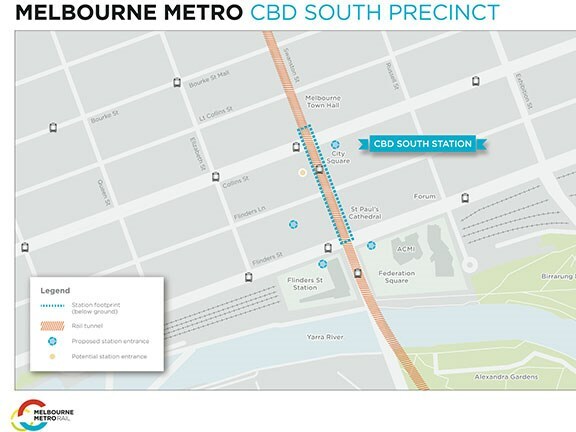 The CBD South station will require excavation of a car park underneath City Square. 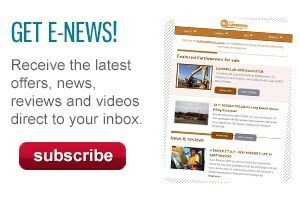 The Victorian state government and construction contractor John Holland have announced that work will begin on the $10.9 billion Melbourne Metro project early next year, with initial shaft work to start within weeks. 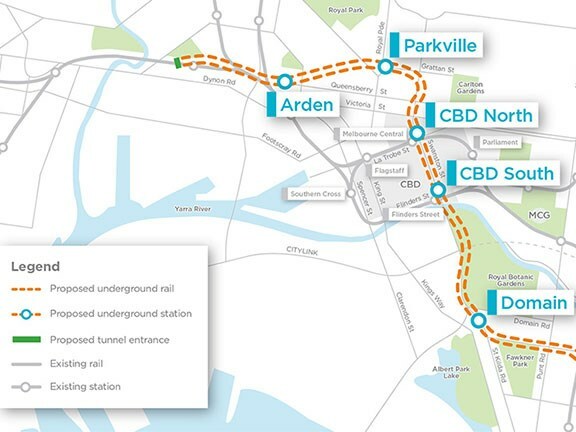 The project will involve the excavation of huge open shafts in the centre of Melbourne in preparation for the construction of five new underground stations – Arden, Parkville, CBD North, CBD South and Domain - and the tunnels to connect them. The station shafts will be up to 35m deep, or over 11 storeys below ground, and will require the excavation of around 34 Olympic-sized swimming pools worth of rock and soil. "Next year, the face of our city will change as we dig 11 storeys below the CBD, and pave the way for Melbourne’s new Metro Tunnel and five new underground stations," Victorian premier Daniel Andrews says. "The Metro Tunnel will create the international-style train system we need, and we’re not wasting a moment – work starts within weeks, and major work will start in 2017." 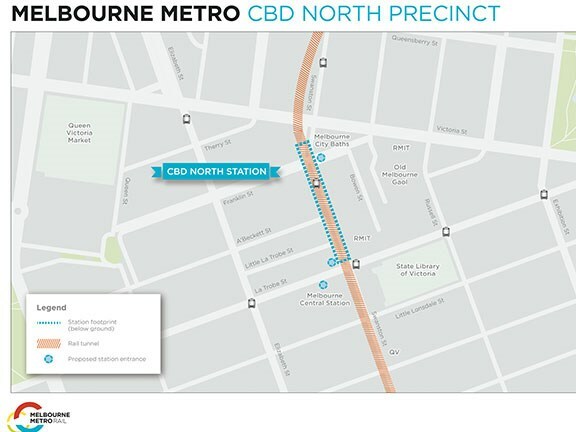 Work on the CBD North station will involve two shafts at Franklin and A’Beckett streets and will be covered by large acoustic sheds designed to reduce noise. The CBD South station construction will involve the partial demolition of the carpark under City Square. Other necessary works include the relocation and protection of up to 100 utilities, including gas, power and telecommunications services and the 120 year old brick sewer line underneath Domain interchange. Andrews says the initial shaft work will start within weeks, with construction on the stations to begin next year. Victorian public transport minister Jacinta Allan says the project will allow many more passengers to use Melbourne’s train network. "Passengers need more services but we can’t run more trains because the city loop is full," Allan says. "The Metro Tunnel will free up space in the Loop to run more trains in and out of the city every single day. This is the biggest and most important public transport project in Australia – building it will cause years of disruption but bring decades of benefits. 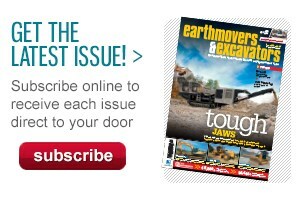 That’s why we’re getting to work and getting it done."